In a small saucepan, cover the plums and pits with the water and bring to a boil. Cover partially and simmer over moderately low heat until the plums are very soft, about 20 minutes. Drain the plums, reserving 1/4 cup of the water; discard the pits. Transfer the plums to a blender. Add the sugar, half of the chile and the reserved cooking liquid and puree. Strain the puree through a fine mesh strainer into a bowl. Stir in the cilantro, dill, vinegar and the remaining chile. Season with salt and serve. 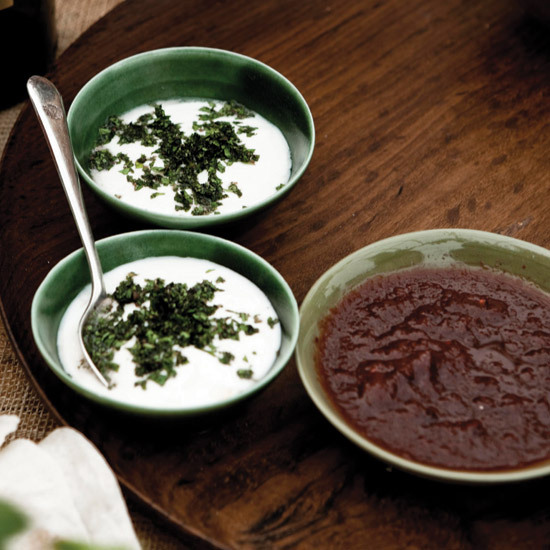 The plum sauce can be refrigerated for up to 4 days.